Mortgage. Credit cards. Car loans. Student loans. You pay your last bill for the month. Every month it feels like you will not have enough to cover everything, but somehow you’ve managed to make it work, for now. Then you realize another Sunday is approaching, and you haven’t given to your church this month. So you check your bank account. There isn’t much left, but you decide to give a portion of it. “At least I gave something,” you tell yourself. Wrapped in this commonly experienced scenario lies one of the biggest misunderstandings of God’s design for our money. Generosity was never meant to be a leftover. Generosity was meant to be the priority. The priority of generosity is woven throughout the Bible. Scripture reveals that we are to give our first and our best. No more is this powerfully displayed than when God Himself gives us His first and best, his one and only Son. God leads the way in showing us how generosity is the priority, not a leftover. God designed us, not to be hoarders, but conduits through which His generosity flows. What can kill our generosity? The book, The Money Challenge: 30 Days to Discovering God’s Design For You and Your Money, identifies four “Generosity Killers” that many of us face—Keeping up with the Joneses, debt, disorganization, and a financially separate marriage. These Generosity Killers hinder our ability to experience the generous lifestyle that we so yearn to live. These killers also put us in positions where we find ourselves considering generosity last or ignoring it altogether. They can flip our financial priorities on their heads. Let’s consider each Generosity Killer and how it impacts our giving. Generosity Killer #1: Keeping up with the Joneses. This means trying to keep pace with the lifestyle of those around you. The Joneses can be your neighbors or your Facebook friends. Their homes, cars, and vacations make you dissatisfied with the life you live. You begin to think, “If I just had what they had,” then your discontentment would go away. So you buy a bigger home, nicer car, and head to Disney World. But you find that your satisfaction didn’t increase—your expenses did. Generosity Killer #2: Debt. Americans struggle with debt. Those who hold credit card debt average around $16,000. Interest rates on these credit card balances are high, extending the time needed to pay off the debt. Credit card balances, car loans, and others debts hurt our ability to be generous. We have to make these monthly payments. We have committed our money to them. And we feel like we cannot commit our money to Kingdom-advancing purposes because of it. Generosity Killer #3: Disorganization. Often, we have no idea how our finances are really doing. We spend our money without a plan. We save our money without a plan. This leads us to spending too much and saving too little. And what about generosity? It receives little consideration. Generosity Killer #4: A financially separate marriage. A financially separate marriage can hurt a couple’s financial health, marriage, and generosity. 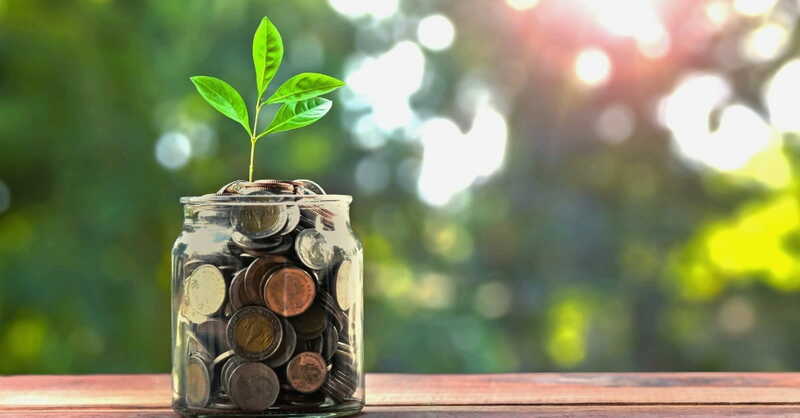 One of the most dangerous words a married person can utter relating to money is “mine.” Conversely, one of the most powerful words a married person can utter relating to money is “ours.” In marriage, misaligned financial goals will result in missed generosity opportunities. To really make generosity a priority, married couples must be on the same financial page. These Generosity Killers are worth fighting against. They can play a role in flipping your financial priorities around. They can lead you further away from God’s design for you and your money. What happens when we make generosity the priority? God designed generosity to be the priority. When we align the way we handle our money with this design, God often does something in our lives. We experience greater contentment. The more we let go, the less we want. Throughout Scripture, we see those who are most generous often have the least amount of resources available to them (2 Corinthians 8:2). Yet, they still find joy in letting go. Why? Because they realize that stuff is just stuff. They find greater contentment in helping others and advancing the Kingdom of God. We experience a stronger connection. When we give to our local church and other Kingdom-advancing initiatives, we feel connected to them. We feel a greater connection because we have invested our resources in them and their mission. And we feel more connected to the life change that occurs through them. What is the greatest misunderstanding of God’s design for our money? Generosity was never meant to be a leftover. Generosity was meant to be the priority. When we rearrange our financial priorities, and get rid of Generosity Killers, we get to experience the peace, contentment, and connection that God has in store for us. 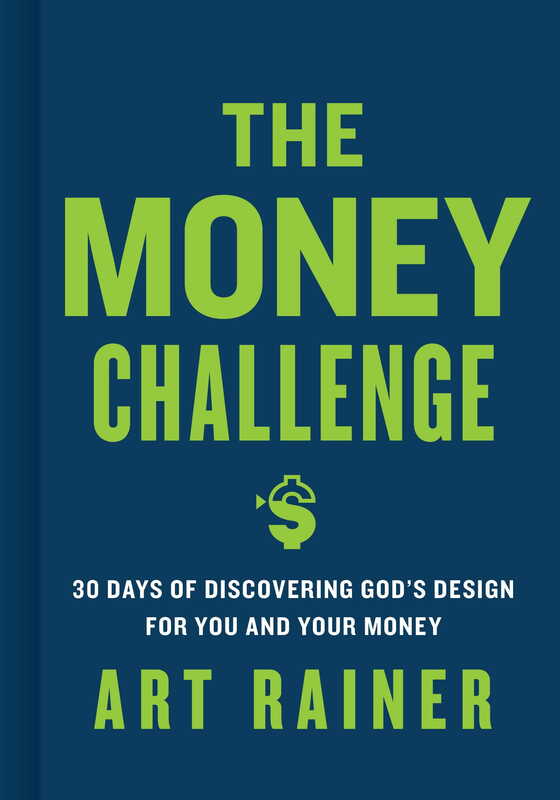 Art Rainer is the author of The Money Challenge: 30 Days of Discovering God’s Design for You and Your Money. He is the Vice President for Institutional Advancement at Southeastern Baptist Theological Seminary. Art holds a Doctor of Business Administration from Nova Southeastern University and an MBA from the University of Kentucky. Learn more about The Money Challenge at TheMoneyChallengeBook.com.